Takeaway: Hydraulic fracturing and overcoring methods both provide data on in-situ stress measurements. The use of one or the other is important when planning trenchless construction projects. Work at a construction site always begins with a geological survey of the area. It is essential that workers understand the ground conditions before performing any trenchless construction. Underlying rock formations influence all operations throughout the construction process. Knowing about possible rock formations at the beginning allows workers to determine the in-situ stress of a rock formation. Companies use either hydraulic fracturing or overcoring methods to calculate the in-situ stress. Hydraulic fracturing is one of the preferred testing methods. While it may be lacking in a comprehensive analysis when used with other tests in the field, planners gain a good idea on sub-surface conditions. The combined data allows them to make informed decisions when planning the construction project. The test measures two stress points running perpendicular to the borehole. A hydraulic fracturing test is a two-step procedure consisting of pressurization of the borehole and delineation of the induced fracture. It takes two trips down the borehole to complete the tests. The test section should be in intact rock. Hydraulic fracturing uses vertically drilled holes — a short segment sealed with a straddle packer, set in a primary stress state, and pressurized using water. For the packing system to work effectively, the seals must have a 2 MPa higher pressure than the test section. This increased pressure keeps the water from leaking around the seals during the test. Workers pump water into the test area using high-pressure tubing. The water pressure continues to increase until a new rock fracture occurs. Workers take measurements off of one stress point directly. The second stress point runs perpendicular to the initial stress point and is calculated using an elastic solution. As the hydraulic test is performed on a vertical borehole, equations assume that vertical stress is gravitational. This assumption allows for principle stress orientation and stress component interpretation to come directly from the measurements. With overcoring methods, workers drill down into the rock with a drilling apparatus. The total depth of drilling depends on the scope of work as well as the device used to complete the procedure. Most companies use a total of three boreholes to determine the complete stress tensor, each using a 90-degree penetration angle. Each apparatus consists of miscellaneous equipment, instrumentation, and drilling equipment. The various material may include of an assortment of hand tools that may be necessary for the use of the apparatus such as pliers, pipe wrenches, screwdrivers, adjustable wrenches, hammer, electrical tape, and soldering iron. Instrumentation used by the apparatus may be part of the boring or may be used to ensure the testing equipment functions properly. The borehole deformation gauge measures diametral deformations during the overcoring process. It measures three diameters located 60-degrees apart. These diameters are perpendicular to the walls of the borehole. A strain readout indicator is also a necessary component. It is normal to have three strain indicators onboard to read the deformations. Before use, workers need to obtain a calibration factor for each axis. The calibration using a calibration jig allows for indicator unit relation for each micro-inch deflection. Also included as necessary instrumentation is the orientation and placement tools. These tools include the T handle orientation tool and J slot placement tool with placement rod extension. Also part of this group of tools is the Pajari alignment device which determines the inclination of the borehole and the scribing tool for marking the orientation on the core. The scribing tool is an optional piece of equipment. Finally, the instrumentation connection is essential to gaining a reading of the data. Therefore, a shielded conductor transmission cable is part of the instrumentation requirements. The length of the wire depends on the depth of the borehole. A good rule to follow is depth from the surface to the test area plus approximately 30 ft (or 10 meters). Drilling equipment is the necessary tools used to drill the borehole for in-situ stress testing. This equipment consists of a drill with a chuck speed ranging down to 50rpm and a penetration rate of ½ inch per 30 to 50 seconds. Workers may need to have reduction gear attached to attain a lower-end speed. Addition to the drill, a diamond bit, reamer, and drill rods of appropriate length are necessary. The use of EWX barrels and EX bits requires an EX drill rod in addition to the standard casings. Each drill also needs a starter barrel to center the hole. If the starter barrel does not have a steel ring to retrieve the core, then a core barrel is necessary. A core breaker, core shovel, and core puller are also part of the drilling equipment apparatus. There are two phases for testing in-situ stress using the overcoring method strain. Before beginning, workers need to set up the drill to ensure minimal drilling vibration during the testing. Using support structures such as timber posts and wedges or rock bolts are the best solution. 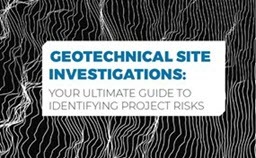 Additionally, project management should predetermine all test intervals and locations based on the geological survey. Using the starter barrel, begin drilling a test borehole. Once it reaches a sufficient depth, the crew should replace the starter barrel with a regular bit and core barrel to extend the hole to desired depth. Remove this core and insert casing with stabilizers. With the casing in place, the traditional bit and core barrel should be replaced with an EX bit and reamer connected to an EX core barrel and rods. Drill an additional 2-7 feet. Insert gauge and engage orientation pins. After a set time, workers lower the core barrel once again. An additional core is taken, containing the gauge and extracted as usual. The indicator is retrieved, and the core sent for testing. Data from the gauge is processed, and the core is tested using Young’s Modulus. Using either the hydraulic fracturing or overcoring methods to determine in-situ stress is paramount to any trenchless construction project. Deciding which way to use, should be left up to the project manager but often comes down to cost-effectiveness. Generally, companies might choose the hydraulic fracturing method as there is no need for additional analysis on core samples. Denise Sullivan is an accomplished freelance writer from Louisiana, with a Associate's Degree in Journalism from Eastern Oklahoma State College. She also graduated from East Central University with a Bachelor's in Biology. Denise began her writing career writing operations and maintenance manuals and software utility manuals for flight simulators. Since, she has expanded her writing to a broad spectrum of topics.